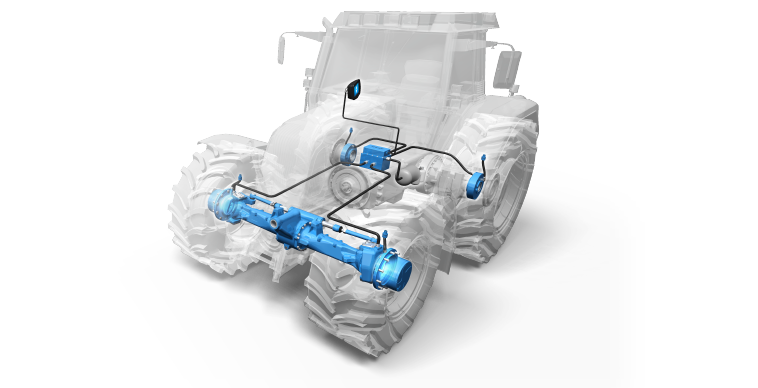 When working either on- or off-road, agricultural productivity is markedly impacted by whether or not tires are inflated to optimal pressures. Today, it is widely accepted that a reliable tire inflation system can play an important role in modern farming. 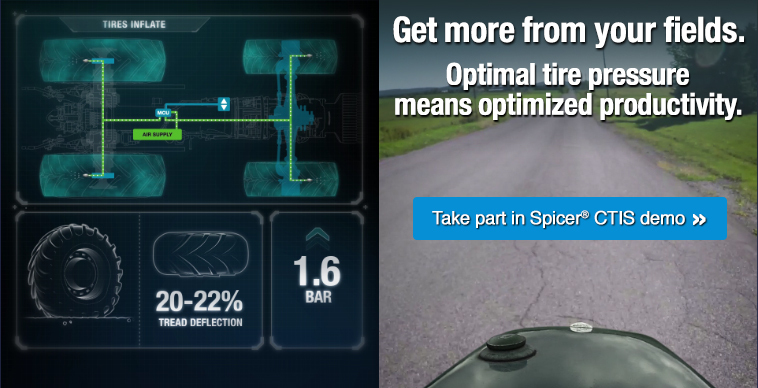 Spicer® CTIS helps to increase traction, productivity, crop yield, and tire life. Further, it delivers a number of unique attributes and critical functions that competing systems simply cannot provide. Farmers seeking to enhance productivity with the most sophisticated and controllable tire inflation technology available need only look to Spicer CTIS. Click here to experience the benefits of Spicer® CTIS.